It's difficult to decide which one is more fun: filing taxes or filing an insurance claim. One thing is for certain, there is nothing more important than dealing with your claim in the event of roof damage, in order to make sure the costs are covered. Have before pictures for before and after. If you are about to file a claim, it is probably too late for this tip. However, keep it in mind for the future. If you update or repair your roof in any way, update your photographs, as well. Without these images, it doesn't mean you can't file a claim but it could make the process more of a challenge and could result in not getting as much coverage as you should. Know what your policy covers when you get it and make certain it covers all the things that could happen to a roof. This also means understanding if your policy factors in the age of the roof, taking aging into account and depreciating the value accordingly. 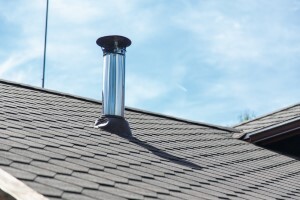 Have your roof inspected by a professional roofing contractor as soon as possible. Most importantly, choose a contractor with specific experience with insurance claims work. You need to know you are working with someone that wants to guide you through the process, not make it even more confusing. However, this does not mean they should communicate with the insurance provider directly and leave you out of the loop. Filing a Claim in North Carolina? If you are in need of roof replacement as part of an insurance claim, call The Roof Maker, Inc. today. Even if you merely suspect you may have damage relating to a storm or similar circumstances, contact us to help you through each step of the process.